Young generation do not find agricultural career appealing. This is probably one of the most obvious reasons why agricultural enterprises faces the difficulties of finding new managers. At the same time the competitiveness and profitability of agricultural enterprises are quite low in the region with huge differences in this respect among V4 countries. In this project we wish to organize a conference on this issue and share different experiences and knowledge of experts. 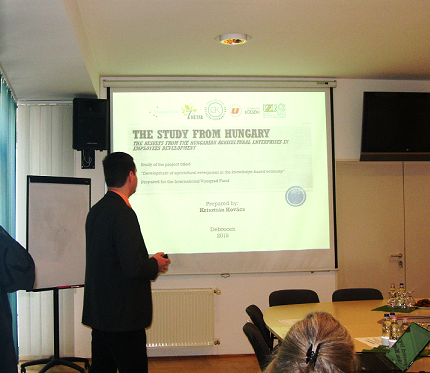 The project focuses on sharing experience among Visegrad countries. Agricultural enterprises face the same challenges and strong competition from the rest of the world whereas different institutional background and legislation influences their efficiency and profitability differently. Since the early 1990s, in the V4 countries there has been a number of large co-operative farms, but most of them are small subsistence plots that struggled to provide farmers with a proper income. Concerning management and marketing skills, farmers face the same difficulties, however there are best practices in each of these countries, too. The preliminary work of the project started with the kick-off meeting, held in Budapest, which served for a personal meeting of the project partners, who will work together for almost a year, online. We defined together the specific task ahead and scheduled them. 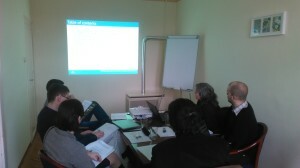 The team reached an agreement on the subject of analysis, and on the appropriate methodology to be used. All partners insisted on harmonising the methods to achieve comparable results. This preliminary work went along with starting the website, setting up the questionnaire and distribution channels for data collection. On 19th of November 2015 the final conference of the project called “Development of agricultural enterprises in the knowledge-based economy” was held in Debrecen, Hungary. The participants met here in front of many enthusiastic attendants to share their results. The conference was opened by the welcome speech of János Felföldi PhD, associate professor and director of Institute for Applied Informatics and Logistics at the University of Debrecen. 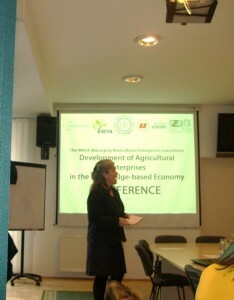 Firstly, Klára Major, leader of the research and research director of HÉTFA, framed the aims of the project and said how content she was that the consortium of the HÉTFA Research Institute and the Czech, Polish and Hungarian partners functioned successfully and their partnership proved fruitful. Then, the researchers of the three countries presented their outcomes. Hana Urbancová, assistant professor at the Department of Management, Czech University of Life Science, Prague, Czech Republic, Paweł Bryła, assistant professor at the Department of International Marketing and Retailing, University of Łódź, Poland, Krisztián Kovács assistant lecturer at the Department of Farm Management and Corporate Planning, University of Debrecen, Hungary. Finally Klára Major summarized the three papers – the following main consequences were drawn: despite the differences these countries face similar problems, such as difficulties in recruitment both in general, and as to managers in particular. Members of the young generation do not find working in the agricultural sector appealing, they rather move to cities and choose less stressful, commanding and more profitable occupations that leads to a rapid ageing of the agricultural population in all three countries. Crucial problems stem from the lack of capital and low educational level as well. These problems seem to be generally present in all countries of the European Union. 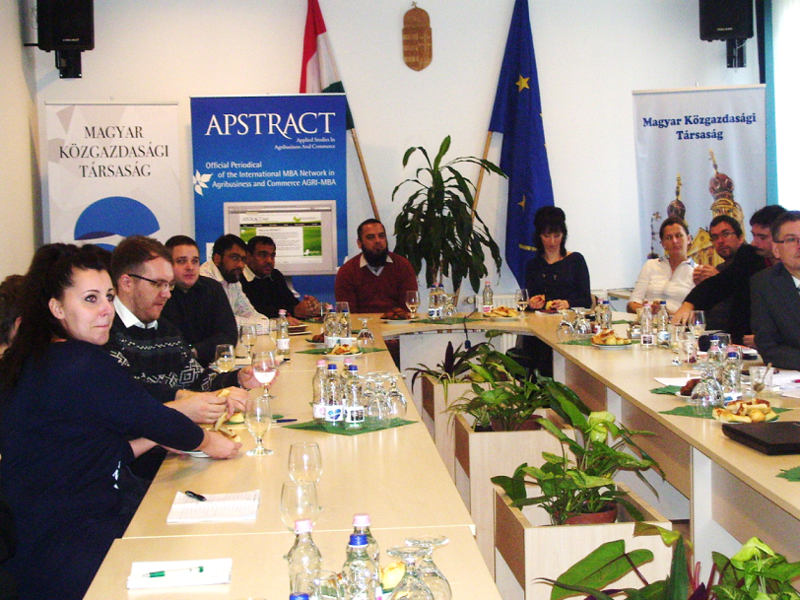 The project is supported by the International Visegrad Fund‘s Standard Grant programme.